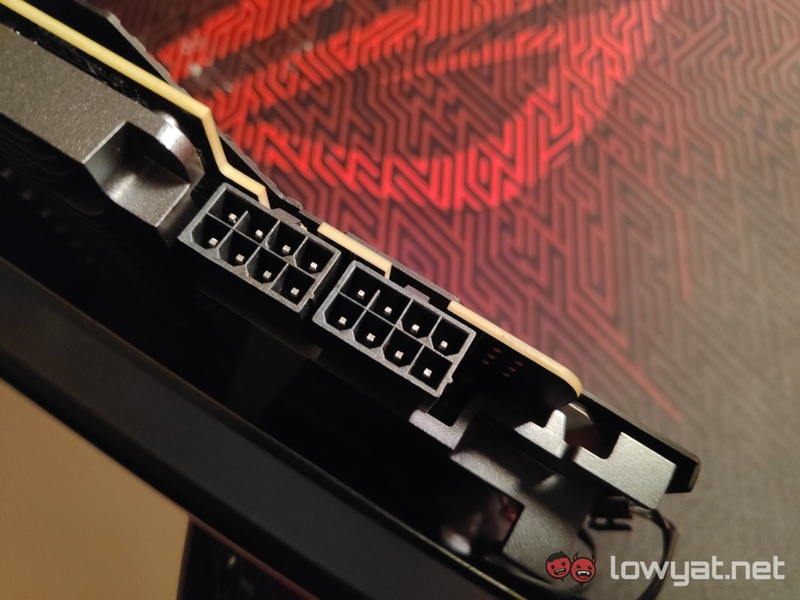 While ASUS did show off several of its new custom-cooled NVIDIA GeForce RTX 2060, one particular card it was more eager to showcase above all else was its one of a kind ROG Matrix GeForce RTX 2080 Ti. A graphics card with closed-loop liquid cooler design that took the brand no less than two years to develop. 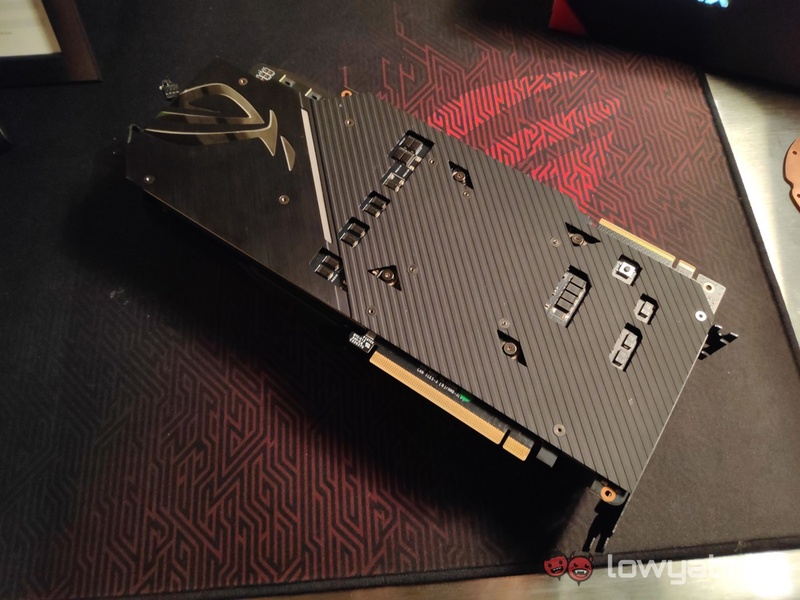 At a glance, the ROG Matrix GeForce RTX 2080 Ti looks no different than a typical high-end, custom cooled graphics card. But as the saying goes; looks can be deceiving. 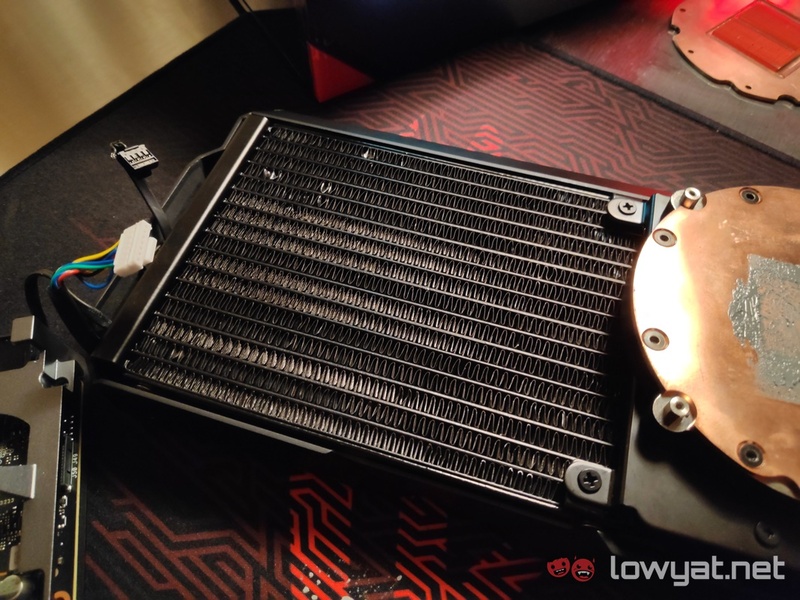 Take off the screws that hold the entire cooler shroud in place, and what you’ll see upon lifting it up is the brand’s Infinity Loop. As mentioned earlier, The Infinity Loop’s design had taken the brand two years to design and create. As a result, the liquid cooler is nothing short of an engineering marvel. No bigger than the card’s custom 3-fan design, the entire system comprises the radiator, the pump, and the contact plate for the card’s binned Turing GPU. That brings us to the performance of ROG Matrix GeForce RTX 2080 Ti. 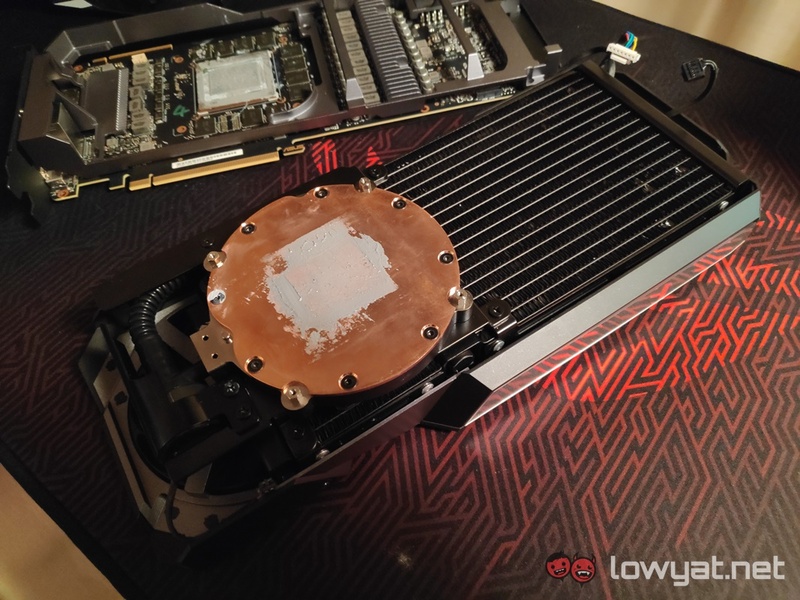 Thanks to the combination of the binned GPU and the Infinity Cooler, ASUS has managed to push the boost clock of the card up to a maximum of 1815MHz, and the GDDR6 memory speeds to an even greater 14800MHz. Something that many other custom-cooled RTX 2080 Ti cards struggle to even maintain, let alone achieve. Besides that, the specifications of the card is as you’d expect. You get 11GB GDDR6 graphics memory, 4352 CUDA cores, 544 Tensor Core, 68 RT Cores, and a 352-bit memory bus. To power up the card, the card requires two 8-pin PCIe connectors. Ports-wise, the card carries two HDMI 2.0b ports, two DisplayPort 1.4 ports, and one USB Type-C port for DisplayLink. 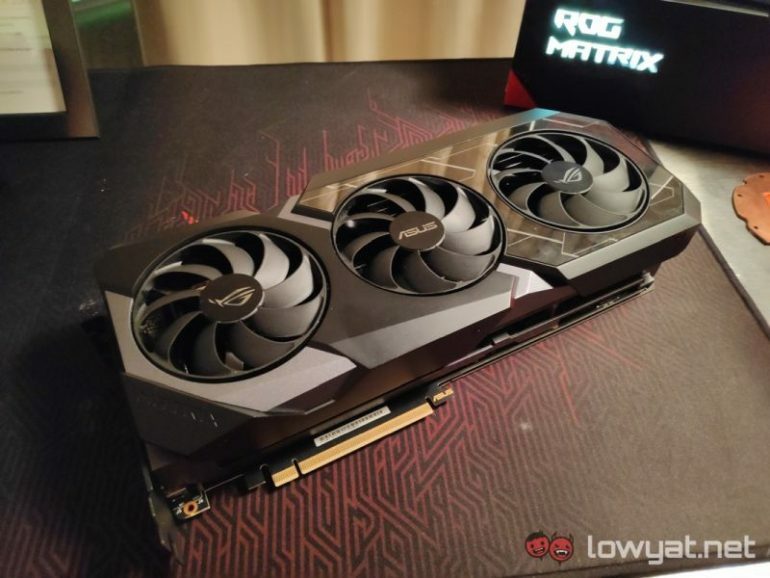 Barring NVIDIA’s 15 ASUS has yet to provide an specific official launch date for the ROG Matrix GeForce RTX 2080 Ti, neither did it say anything about local availability or official pricing. Though it’s a given that this card will definitely come at a premium, given the features it carries.